Developed and released for the arcades by SEGA Enterprises, Ltd. in 1989. Music by Yasuhiro Kawakami. Converted for the Atari ST and Commodore Amiga by Arc Developments: Programming by Tim Round, Graphics by Paul Walker, Music by Mark Cooksey. Published by U.S. Gold in 1989 for Atari ST and in 1990 for Commodore Amiga. Music by Mark Cooksey, NTSC conversion by Darrin Stubbington. Published for the European market by U.S. Gold, and for the North American market by Sega in 1990. 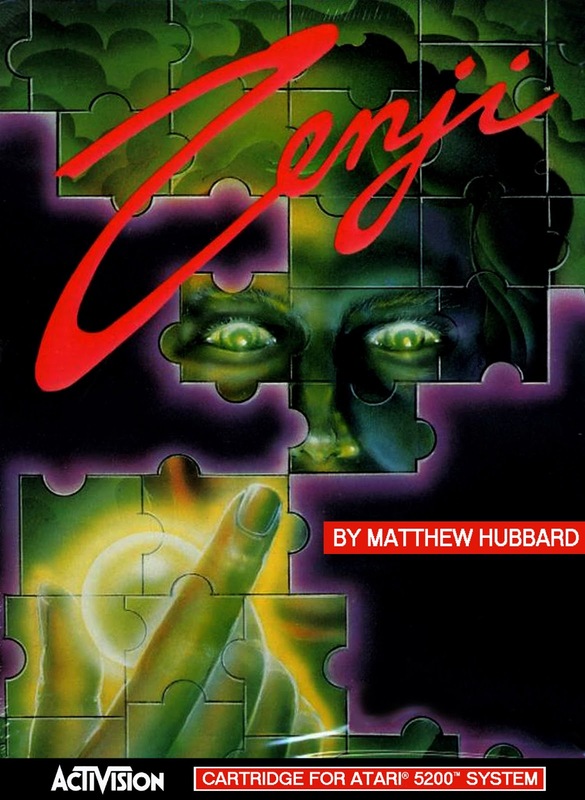 Converted for the Amstrad CPC and ZX Spectrum by Arc Developments, and published by U.S. Gold in 1990. No further credits known. Conversion for the IBM-PC compatibles programmed by Joe Peter, and published by SEGA of America, Inc. in 1990. Converted for the Sega Genesis/Megadrive by Sage's Creation, Inc.: Programming by SA.160A, Kimihiro Endoh, EBUC and Soft MA; Graphics by Kanazawa, Nagasaki and Gunma; Sound design by Masaru Suzuki; Music by Sega and Mecanoize. 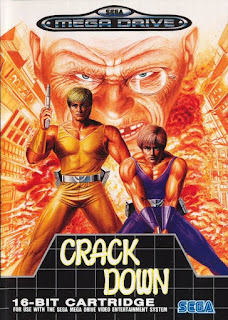 Published by SEGA Enterprises Ltd. in 1991. Odd to think that this will be already the 200th entry on the FRGCB, although I'm not sure if it's quite the 200th game comparison, if you count all the twofers. But since we're celebrating such an occasion, and seeing as this is probably the last time I shall be needing a collaborator on a FRGCB entry, I decided to pick a properly good game. It was to be either Atari's Xybots or Sega's Crack Down, and a coinflip was the deciding factor. 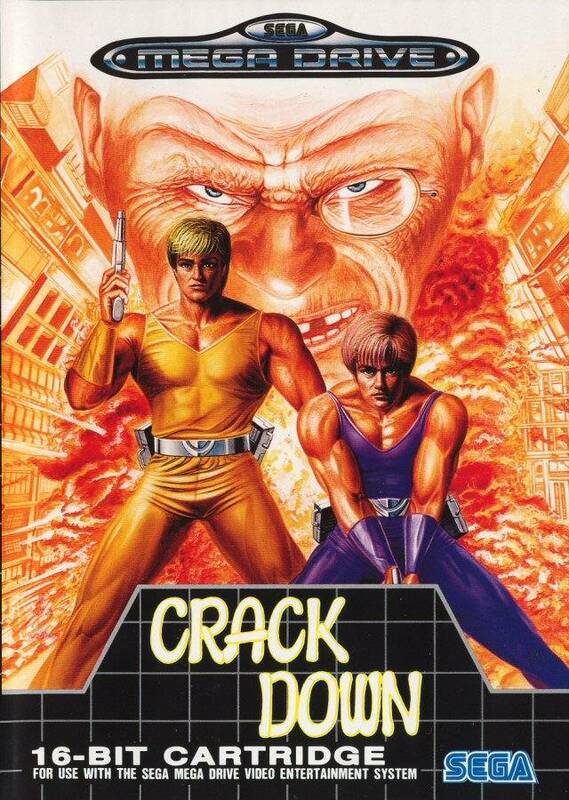 To be honest, I never knew if Crack Down was ever considered as a proper classic or anything of the kind, but ever since I found and bought the C64 version randomly from a flea market about 22 years ago, I have always thought Crack Down a cracking good concept, and I had never even heard of it before then. Perhaps if I ever bring the blog back in the distant future, I shall do a comparison of Xybots, but that's a big "if". Designed and written by Matthew Hubbard for for Atari 8-bit computers and 5200. Converted for the Commodore 64 by Adam Bellin. Converted for the Sinclair ZX Spectrum by Software Conversions Ltd. Converted for the ColecoVision and MSX by Action Graphics, Inc. The Atari 5200/8-bit, ColecoVision, Commodore 64 and Sinclair ZX Spectrum versions published through Activision in 1984. The MSX version published through Pony Canyon in 1984. To start this year with a light-weight comparison, here's an odd little action-puzzler for the other end of the alphabet, which you don't really hear talked about too much. Can't imagine why, really, because I always thought this one was well worth anyone's notice, even though it's aesthetically not particularly inspiring. As a matter of fact, I don't think I have ever seen a review of this game anywhere, so bumping into Zenji at a distant relative's house for the first time when I was about 14 or so, was somewhat of an eye-opener. It was one of those games that got me inspired to do some further research on games outside of my own comfort zone. 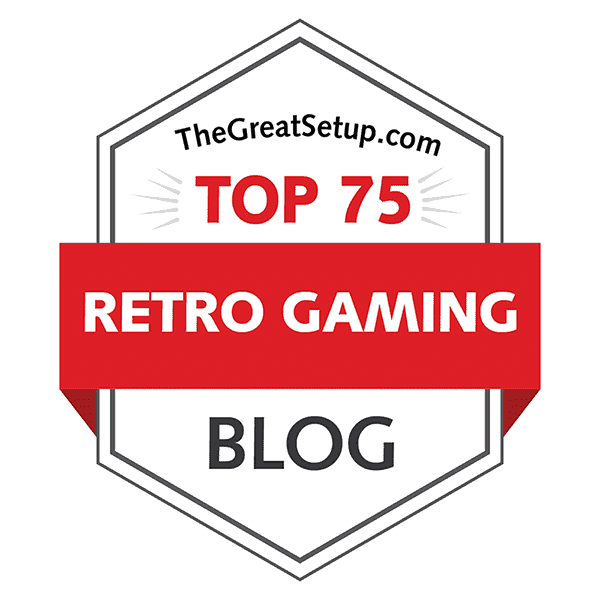 Until now, though, I hadn't realized that this was originally an Atari game, so for those simple reasons, this became one of the last chosen games for this blog.